Pokemon will be launching on October 12 and will feature a new fairy type Pokemon and a mini-game to strengthen the bond with your Pokemon, Nintendo announced during their E3 2013 Nintendo Direct broadcast. The fairy type will not only include new Pokemon, but will be retroactively applied to previous Pokemon Jigglypuff, Marril, Sylveon and Gardevoir. 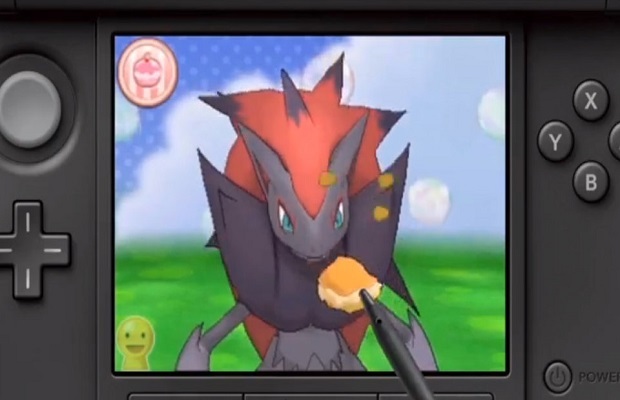 Nintendo also announced a Nintendogs stype mini-game for Pokemon X and Y called Pokemon Amie, wherein you will pet and feed your Pokemon via the touch screen on the 3DS, strengthening your relationship with them.